Rise of Shadows has finally been out long enough for the top decks to surface. 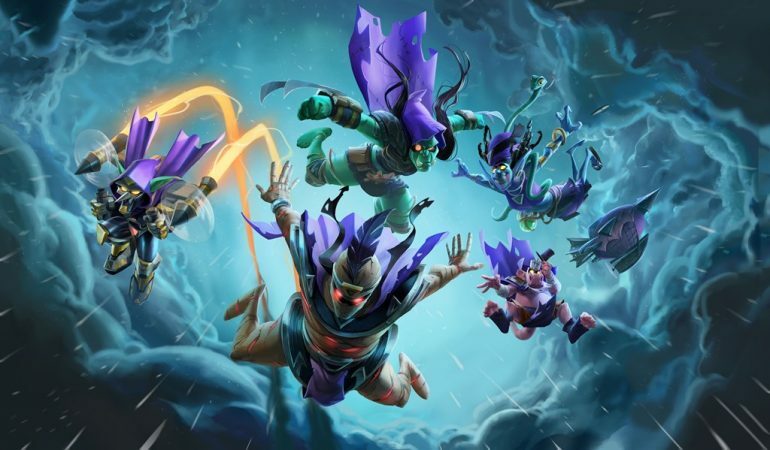 These tiers are based on winrate data gathered through the Hearthstone deck tracker offered by HS Replay, as well as additional information provided by sources like Vicious Syndicate and the competitive Hearthstone Reddit. The lower the tier number, the better the deck. This means tier one features the best decks. Rogue is forever the king of tempo within Hearthstone. The class is designed with a playstyle that’s meant to make the player feel like they have the potential to stay one step ahead of their opponent. Rogue received quite a few decent cards with Rise of Shadows, including the new Legendary minion Heistbaron Togwaggle. This card has a Battlecry that allows you to choose a fantastic treasure as long as you control a Lackey. Since this deck is super Lackey-based, you shouldn’t have any issue getting the maximum amount of value out of your EVIL Heistbaron. The weeks following the launch of Rastakhan’s Rumble weren’t very kind to the Druid class. Druid had multiple spells nerfed leading to a lull for the class that left much to be desired. Rise of Shadows seems to have answered Druid players prayers, at least for the time being. Token Druid received quite a bit of support with Rise of Shadows and has dominated the competitive ladder in the early weeks as a result. This version of the deck has a 57 percent winrate on HS Replay, but be cautious—now that other classes have had time to develop, Token Druid may not stay on top very long. For the time being, however, it looks like the deck can fetch you some easy wins. With the loss of the Odd archetype, Mage was left with a lot to be desired heading into Rise of Shadows. Thankfully, the new Khadgar Conjurer archetype has arrived and is exceeding expectations. Most successful versions of the deck run a heavy Dragon package that’s made even more powerful by the addition of new Mage Legendary Kalecgos. This version of the deck is teched to be played against a weapon heavy lineup, but feel free to swap an Ooze or two for Doomsayer. The deck focuses on using Khadgar’s powerful ability alongside Mountain Giant and Conjurer’s Calling. Kalecgos provides great late-game value, but some games are over before you even use him. Carpet Zoo Lock is a new spin on an old favorite. Zoo Lock will probably always be a playable archetype thanks to the built-in card draw that comes with the class’ Hero Power. This version of the deck runs some very familiar one drops, like Argent Squire, Abusive Sergeant, and Flame Imp—but what really makes this version of the deck fun is Magic Carpet. The new Rise of Shadows card has stellar base stats and gives every one-cost minion you play while it’s on the field Rush and plus-one attack. This means your army of seemingly wimpy minions has the potential to dish out some serious damage. Mulligan hard for Magic Carpet and ride it straight to victory. This is another deck that came out swinging during the first few days of the Rise of Shadows expansion. Bomb Warrior is a new archetype created by cards like Clockwork Goblin, Wrenchcalibur, and Blastmaster Boom. The deck has a unique playstyle that focuses on controlling the board while sabotaging your opponent’s deck with Bombs. Certain cards cause you to shuffle a Bomb into your opponent’s deck. Every time they draw a Bomb, they take damage. Meanwhile, you’ll be gaining armor through cards like Eternium Rover and Dr. Boom, Mad Genius. Bomb Warrior may not be as successful as it was during the first few days of the expansion now that other classes have reacted, but for now, the deck provides some explosive entertainment. Control Warrior feels like Bomb Warrior if you turned the survival aspects of the deck up to 100. The deck essentially takes the bomb support out of Bomb Warrior and replaces it with valuable control options available to the class. Instead of focusing on shuffling bombs, you’ll be more focused on removing your opponent’s threats as you wait to draw Dr. Boom, Mad Genius. After you have the doctor on the field, use his insane armor gain to crawl out of reach of your opponent while throwing removal at any of their significant threats. The only reason this deck isn’t considered top-tier is probably because of the insane amount of control decks that are prevalent on the competitive ladder right now. Shaman was left in a tough spot after the Even archetype was removed from Standard play and the future of the class was uncertain. Luckily, an archetype familiar to the class has been reinvigorated thanks to the addition of some great new Murlocs. Mech Hunter is another deck that sprung to life thanks to some key additions from the Rise of Shadows expansion. The deck makes use of cards like Spider Bomb and Mechanical Whelp to generate some serious Mech based value, then runs away from the game with Oblivitron and Nine Lives. Oblivitron is a new Legendary minion for the Hunter class and has a Deathrattle that allows you to summon a mech from your hand and trigger its Deathrattle. Nine Lives allows you to Discover a friendly Deathrattle minion that died this game and trigger its Deathrattle. These cards, combined with the high Mech presence in this deck, make for some very fun value-based gameplay. Regardless of which deck you choose, try to pick one that fits your playstyle. If you enjoy playing fast decks, play something like Murloc Shaman or Zoo Lock. If you’re more inclined to play control decks, give Bomb Warrior or Discover Mage a shot. Since we’re still early in the expansion’s lifespan, be sure to craft with caution.